Batting: AM Rahane 45 off 40 balls, Sanju Samson 37 off 22 balls, Jos Buttler 29 off 18 balls. Bowling: S Nadeem 2/34 in 4 overs. D/L Revised Target: 71 from 6 overs. Delhi Daredevils 2nd Innings: 60/4 (6 Overs, RR: 10.0). Batting: RR Pant 20 off 14 balls, Chris Morris 17* off 7 balls. Bowling: Ben Laughlin 2/20 in 2 overs, DS Kulkarni 0/4 in 1 over. 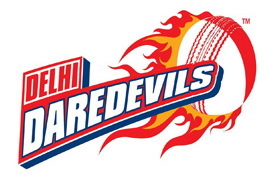 Result: Delhi Daredevils won the match by 10 runs (D/L method). Man of the Match: Sanju Samson. 1. Rajasthan Royals and Delhi Daredevils lost their first matches of this season and both teams looked for a win in their second match. Rajasthan Royals played an unchanged squad whereas Delhi made a few changes. 2. So, the toss won by Delhi and it did not break the trend of this season as it chose to field first in this match. Rajasthan’s openers walked out on the field with the intent to win the match in front of their home crowd. 3. On the other hand, Delhi struck early as Short was run out again in this match and Ben Stokes also fell cheaply in the 5th over. The Royals now needed a solid partnership that was provided by Rahane and Samson’s 62-run stand. 4. After these two got out, Buttler and Triphati showed promise and stabilized the innings as Royals crossed 150 runs. Only 2 overs were left in the match before rain delayed the match for quite some time. 5. The cut-off time was coming to an end but this is when the rain stopped for good and the umpires decided to resume play. The revised target for Delhi was 71 with 6 overs in hand; Another thriller in the making. 6. To be fair it was not going to be difficult for Royals as Delhi’s team was loaded with power hitters like Maxwell, Munro, Morris and Pant. The Rajasthani bowlers would have to do something special if they wanted to win this match. 7. Maxwell and Munro opened the batting for Delhi, however Munro had to go back for a diamond duck as he got run out after being sent back by Maxwell. Pant now joined the Australian and Delhi now needed a partnership. 8. Delhi’s hopes were pinned on Pant but he too failed to deliver as he got out in the second last over of the match. Delhi now needed 25 off the last over with Chris Morris their only hope to win this match. 9. However, it was Laughlin who was the hero for Rajasthan as he prevented Chris Morris from chasing down these runs. 10. Rajhastan Royals won their first match in front of their home crowd meanwhile, Delhi Daredevils slow batting cost them the match.